You don't see too many capes for spring, but you do see lots of trenchcoats! Well, how about a trenchcape to change things up and stand out? 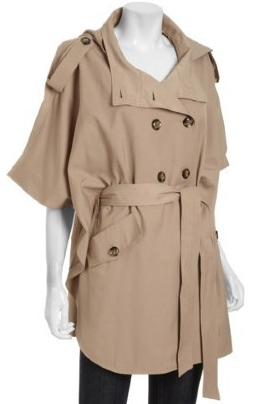 This one by DKNY is just $123 at Bluefly!